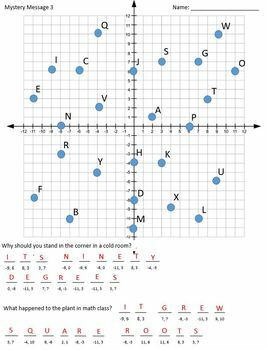 3 Worksheets, each have points plotted on a coordinate plane. Below, math riddles are asked. 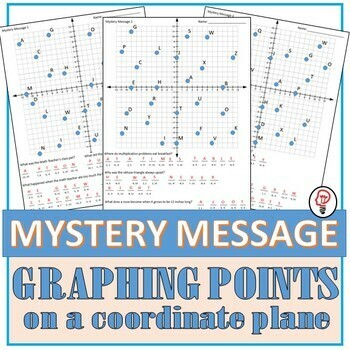 As the student correctly reads the point that corresponds with the coordinates, they are able to decipher the code and get the answer. Students have fun while practicing the skill of reading the coordinates of points on the coordinate plane. 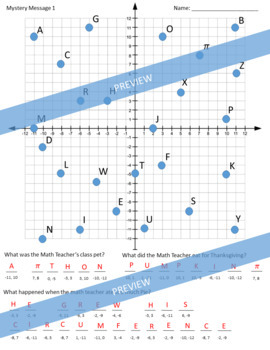 Each worksheet utilizes all four quadrants on the coordinate plane.